Ralph Fertig and the Humanitarian Law Project's long-waged struggle to promote non-violence by peaceably assisting the PKK and other terrorist organizations develop non-violent strategies to advance the organizations' political agendas has reached the U.S. Supreme Court. Fertig argues that training in conflict resolution, human rights law, and nonviolent civil disobedience in the model of Dr. King and Ghandi are strong alternatives to violence that actually promote peace and reduce terrorism. However, a contested U.S. federal law prohibiting rendering "material support" to a terrorist organization -- broadly defined by the law to include "training," "personnel," "expert advice or assistance" and "service" -- illegal prevents Fertig and the Humanitarian Law Project from doing its work, and relevant to the Court, violates his First Amendment right to freedom of speech. Supporters of Fertig have compared the U.S. law and its function of dictating the kinds of nonviolent activities and associations that United States citizens can have with terrorist organizations as akin to the sorts of coercion and atmosphere of fear afflicted upon real and suspected communists or communist sympathizers in the McCarthy era. Fertig says he has no problems with a ban on providing money to terrorist organizations, which is difficult to control and could well be used to fund terrorist activities. U.S. Solicitor General Elena Kagan argues that the government does not unduly restrict speech, arguing that it is impossible to separate support of a terrorist organization's peaceable activities from the violence that defines the group a terrorist organization. John Yoo, now infamous for his "Torture Memos," filed an amicus brief alongside Edwin Meese, II, former U.S. attorney general, making a similar argument. A Washington Post editorial argues the law is too broad. Today's Zaman columnist Nicole Pope discusses the law in terms of the classic trade-off between security and civil liberties, but using the example of Turkey's approach to Hamas, also touches on peacebuilding and terrorist organizations. According to former U.S. president Jimmy Carter and founder of the Carter Center: "Our work to end violence sometimes requires interacting directly with groups that have engaged in it. Unfortunately, efforts like ours … are hindered by the extremely vague 'material support' law that leaves us guessing whether our work to encourage peace could actually be considered illegal." In short, there is much more at stake in terms of harms: the law not only proscribes Fertig from fully exercising his civil liberties and potentially enables McCarthy-like oppression, but also profoundly hinders peacebuilding. If the law had been applied in Northern Ireland before the start of the peace process, John Hume and several others would be in prison and there would be no peace process. According to Today's Zaman, Fertig's group had worked with the PKK in terms of training PKK members to bring human rights violations to the attention of the United Nations, as well as offered assistance in peace negotiations. During the past two decades a diverse landscape of Turkish human rights NGOs has developed, representing all sorts of political and religious orientations. The comparison of Kemalist and Islamic NGOs in regard to freedom of religion and homosexuals’ rights illustrates the divergence between the underlying human rights concepts. Referring to these differing concepts, the paper aims at explaining the criticism Turkish civil society actors voice regarding the European process, leading to the fundamental question of whether one set of rights can claim universal validity or whether human rights must be adjusted according to national, cultural, or religious prerequisites. Deputies are increasingly concerned as Parliament is filtering deputies' mail and not delivering all their post to them it has been revealed. including the reports of human rights organizations, books from the feminist organizations, magazines from unions, periodicals from the Cihan news agency, congratulatory letters from other deputies and sometimes even wedding invitations. The criteria for the filtering is not clear and the related persons including Parliament Speaker Mehmet Ali Şahin and the secretary general of Parliament, Ali Osman Koca, did not answer the calls of Today's Zaman on the subject. İstanbul deputy Ufuk Uras from the Peace and Democracy Party (BDP) recently noticed that the periodical from the Human Rights Joint Platform (İHOP) had not arrived. When Uras searched the reasons behind it, he found out that Parliament uses a filtering system for the deputies’ post but the filtering criteria are not clear. Speaking to Today’s Zaman, Uras said that last year he discovered that the Turkish Civil Aviation Union (Hava-İş) periodical had not reached him and when he asked about it in Parliament he was told that this was true and there is a filter system in implementation. “This is censorship, this is scandal. How is it that Parliament prevents the delivery of our mail especially if there is no legal ban on it. This is an arbitrary implementation and not acceptable,” Uras said. He added that on Monday he had had a meeting with Parliament Speaker Şahin regarding the issue but he did not get a satisfactory explanation. “He told me that this was a practice which had started before his tenure and he will examine it. But he also added that if there was no filtering in place, in some situations the deputies would complain about it,” Uras said. In January, CDs which contained the outlawed Anatolian Islamic Republic’s constitution (AİCA) had been sent to deputies and was distributed but the parliamentary secretary general’s office later decided to retrieve them. At that time some deputies complained that their rooms had been searched. It was indicated in the answers to Uras’ parliamentary questions that the filtering of deputies’ mail had been in practice since 2004. The written answer given to Uras by the secretary general’s office of Parliament, accepts the prevention of the distribution of mail and post to deputies. According to the answer, all the post, invitations, mail and letters sent to deputies are distributed only after the approval of the secretary general’s office. The letter also contains a list of blocked mail, among them magazines from the electrical engineers local administrations; reports from Amnesty International (AI) and the Association of Human Rights and Solidarity with Oppressed People (MAZLUM-DER), a book and a CD from the feminist organization Filmmor; and reports from the Alevi Bektaşi Federation. The politicians and even the deputies are also censured by Parliament. Some of them are Numan Kurtulmuş, the leader of the Felicity Party (SP) and Republican People’s Party (CHP) deputy Necla Arat. The holiday congratulation letter from BDP deputy Osman Özçelik was not delivered to the deputies, too. Levent Korkut from the İHOP said that their periodical is among the post which is filtered out. “This prevention is not only scandalous from the perspective of the deputies’ individual freedom of communication but it also extremely important from a political point of view. Of course, the deputies are there for making politics and in democracies lobbying is normal but in our Parliament it seems that lobbying is limited according to the wishes of the post distribution system,” Korkut said. In a largely top-down political system where civil society organizations already have difficulty interacting with the state, this news is particularly troublesome, as well as revealing of just how and to what extent information is controlled. Kilic was the only judge on the Constitutional Court not to vot in favor of sanctioning the AKP in the 2008 closure case, and has been regarded a reasoned moderate (see also Ergun Ozbudun's analysis in 2008). I seem to remember Kilic calling for political parties reform shortly after the closure case, but cannot find a citation. 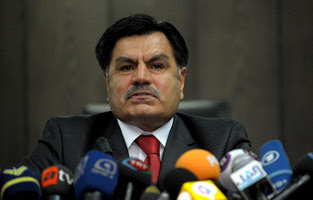 On Friday, Justice Minister Sadullah Ergin met with judges from Supreme Court of Appeals and Council of State to discuss judicial reform, including the AKP's plans to have the government play a greater role in appointments made to the Supreme Council of Judges and Prosecutors (HSYK), long regarded a bastion of secularist power. He met with Kilic later in the day. On Wednesday, President Gul had met with Kilic, who expressed support for judicial reform, but told the president he could not advise the government on a legislative package since the Constitutional Court could well review the constitutionality of the potential reforms at some point in the future. Murat Daoudov, Director of European and International Relations at the Union of Municipalities of Marmara, has an interesting piece in which he considers Turkish membership in Schengen. This ties into the below post on Europe's varying visions of integration. States like the United Kingdom and Ireland, for reasons of their own, are not part of the Schengen zone, and with Turkey's new foreign policy and recent moves to open up visa-free travel with Syria and Lebanon, might decide to take a similar path. Additionally, there are serius concerns about Europe's inclusion in the Schengen zone, particularly from France, and placing derogations on work and travel should Turkey be admitted to the EU has already been discussed. The current constitutional crisis in the EU may ironically create an opportunity space for Turkey. Clearly what is at stake in the constitutional debate is the future direction of the European project. If the outcome of the constitutional crisis is the development of the EU more in the direction of what Jan Zielonka calls a loosely structured “medieval empire”, which is broadly consistent with the British vision rather than the kind of deep integration project favored by the French, this will naturally embody very significant implications for the future place of Turkey in the European context. If the future path of the EU involves a British style integration process of a relatively loose, intergovernmental Europe with relatively flexible boundaries which allows significant scope for national autonomy, the prospects for Turkish accession will be considerably improved. In contrast, if the dominant style of integration is based on the French project of deep integration- the idea of Europe as a “place” with fixed boundaries as opposed to a flexible “space”-the natural inclination will be to include Turkey as an “important outsider” rather than a “natural insider” in a special partnership style arrangement. Our interpretation of the current constitutional impasse in Europe having reached a peak with the negative vote in Irish referendum of June 2008 is that the dominant tendency in the foreseeable future is likely to be the first scenario of flexible integration which clearly constitutes a development in Turkey’s favor. What we increasingly observe in the current era is the emergence of an implicit broad and mutually reinforcing coalition for “special partnership”, which seems to be deeply rooted, but for rather different reasons, both in the European and Turkish contexts. This constitutes a significant danger from the point of Turkey’s full-membership prospects. The proponents of Turkish membership both at home and abroad appear to be increasingly less vocal and enthusiastic compared to their Turko-skeptic and Euro-skeptic counterparts. The retreat to “loose Europeanization” certainly does not signify the abandonment of the Europeanization project altogether. What it means, however, is that the EU will no longer be at the center-stage of Turkey’s external relations or foreign policy efforts. This, in turn, is likely to have dramatic repercussions for the depth and intensity of the democratization process in Turkey especially in key areas such as a complete reordering of military-civilian relations, an extension of minority rights and a democratic solution to the Kurdish problem, as well as counteracting the deeply embedded problem of gender inequality. There exist key elements within the Turkish state and Turkish society, which would be quite content with the loose Europeanization solution given the perceived threats posed by a combination of deep Europeanization and deep democratization for national sovereignty and political stability. The fears of deep Europeanization are not simply confined to the defensive nationalist camp. There also exists considerable conservatism even in the much more globally oriented AKP circles, when it comes to deep democratization agenda, as it is clearly evident from the resistance to the repealing of the article 301 of the penal code. A final question to raise in this context is whether the drift towards loose Europeanization is likely to be reversed. The likelihood of a major reversal in the immediate term appears to be rather low. From a longer-term perspective, two possibly mutually reinforcing developments may facilitate a renewed impetus to the deep Europeanization agenda. The first element of such a scenario would involve a new enlargement wave in Europe, which would incorporate the Balkans and Eastern Europe. Turkey as a country, which has already reached the point of accession negotiations will not be immune to such a process. The second element of such a scenario would involve the emergence of a strong counter-movement from the more liberal and Western-oriented segments of the Turkish society, who will place Europeanization and reform firmly on its political agenda. See also former Enlargement Commissioner Olli Rehn's comments on "widening and deepening" in this interview with EurActiv. Also, in terms of more nationalist EU critics within the AKP, see Erdogan's comments on "assimilation" in the interview he gave with Spanish newspaper El País this week -- comments which I should have included yesterday. Erdogan said Turks would be keen to join the EU, but did not want to be "assimilated." UPDATE I (2/25) -- In the past few days, I have written a bit about the tendency to think of satisfying European Union criteria for Turkey's entrance into the EU as "demands" made by a foreign power versus conditions that must be voluntarily met for Turkey to gain membership in an intergovernmental organization. Some examples of recent grumbling include Turkey's recent ban on the imortation of genetically modified organisms, as well as other restrictions on agricultural practices and food safety, including the use of pesticides. Some growers are also complaining of delays in importing products to Europe as the result of a 10 percent inspection quota. While increased food safety standards are an overall good idea, there are concerns that the government has done little to make the regulations easier on low-margin growers, such as people selling fruits and vegtables at open-air markets and roadside stands. On food safety, see also the implications of new regulations on traditional foods like kokoreç. Another CHP deputy, Osman Coşkunoğlu, claimed the sales figures of Zaman were very low but its circulation was high as it was handed out for free. Coşkunoğlu made this remark while referring to Zaman’s Monday headline in which Dutch Christian Democrat Ruijten called for an overhaul of the judiciary. Coşkunoğlu also told Today’s Zaman that he did not explicitly name any newspaper. Öymen insisted that he did not name any specific media outlet, but when asked, everybody in the room understood that he was referring to Today’s Zaman. He said he could not prevent people from having certain opinions. Öymen was apparently not happy about the inclusion of a Today’s Zaman article in a JPC file. The article was presented to members of Parliament and Turkish deputies together with 17 documents before the meeting. The article, titled “Turkey wants full visa immunity from EU, not ease in requirements” and published in the Feb. 4 edition of Today’s Zaman, called for visa-free travel for Turkish citizens between Turkey and Europe. Also potentially getting under Oymen's skin were comments from Oomen-Ruijten that Turkey desperately needed a new constitution and judicial reform, European arguments for which the ruling AKP is likely to now use to, in CHP's eyes, advance judicial reform for its own purposes, i.e. to save itself from potential closure. Complaining of delays in the implementation of judicial reform prepared by the government, Oomen-Ruijten said there is some thing going on within the judiciary as a result of this lack of neutrality. “In effect, the Turkish Parliament must create such a legal ground that the judicial rulings will not be debated. For this, a new constitution is needed; we want this. If regulations are sufficiently open and clear, then the judiciary will behave neutrally and decisions the judiciary announces will not be debated,” she said. 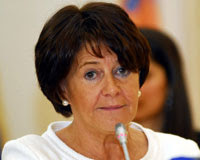 She also asked the opposition not to hinder the process of judicial reform. “Please lean towards the judicial reform because Turkey can only be a country with the rule of law through judicial reform,” Oomen-Ruijten said, adding that there are also circles in Turkey who want to postpone the judicial reform and claim that Turkey is not yet ready for it. “There isn't enough dialogue within society. I do not think this is the government's problem. There are many other responsibilities for the opposition, too. If you really want to join the EU, you need to be a modern welfare state. The Copenhagen criteria are the basis of European cooperation. You cannot become a member if you do not respect this and fulfill the criteria,” she noted. Harshly reacting to Republican People's Party (CHP) deputy chairman Onur Öymen's remark that the government did not adopt any law on advice of the army, Oomen-Ruijten said this would be turning the world the other way around. “You have to check and control the army, not have the army check Parliament,” the rapporteur said. To some degree, the AKP has set itself up for CHP's criticisms since it also has stalled on judicial and political parties reform. As was the case following the presidential crisis in 2007, the AKP tends to respond most strongly to EU reform criteria when the party faces difficult circumstances. During the DTP closure case, there were few mentions of reform to the Law on Political Parties or judiciary. Also speaking on Tuesday, Justice Minister Sadullah Ergin promised Turkey would be moving quickly forward with judicial reform. UPDATE I (2/25) -- Hurriyet Daily News has run comments Oomen-Ruijten made in an interview with the paper in the past few hours. "What I would like to see is a real oversight and a real control of the public sector on the military. That means Parliament and the government are the ones who need to have the control," said Oomen-Ruijten. “The military should be under the control of society, not the society by the military. If they can now make good arrangements, then everybody will be happy,” the politician added, urging the creation of a new Constitution including reforms in the judicial area as well as in the civil-military relationship. Such reforms, she said, would address part of the Copenhagen criteria, which Turkey must comply with in order to receive full membership in the European Union. “If you want to modernize and make your country a harmonious society, you need to have new rules and these new rules need to be laid down in a Constitution,” Oomen-Ruijten said. “The oversight of Parliament on the military and judicial reforms are urgently needed, absolutely." More for Oymen and the CHP to groan about to be sure. For a take on the CHP's ambivalent relationship with the EU, see Feb. 11, 2009 post. Two days off from blogging, and . . .
President Gul is said to be organizing a meeting between Prime Minister Erdogan, recently returned from Spain, and Chief of General Staff Ilker Basbug. Erdogan has refrained from personally criticizing the unauthorized TSK meeting, but deputy Salih Kapusuz remarked, “Everything that happens and is said today will be brought onto the country’s agenda in the future, too." There are rumors that all top commanders could resign, though as Mehmet Ali Birand concludes, what that means is unclear. Meanwhile, though Supreme Court of Appeals Chief Prosecutor Abdurrahman Yalcinkaya has dismissed stories that there is a closure case pending against the AKP, a closure case could well be in the making and would only further de-stabilize the situation. Coming on the heels of last week's judicial showdown, Turkey's political situation is, indisputably, remarkably tense. In Spain, Prime Minister Erdogan promised to submit constitutional amendments pertaining to judicial reform to referendum if a compromise with the CHP and MHP cannot be reached. Meanwhile, opposition parties have called for early elections, claiming such a move will help relieve tensions. UPDATE I (2/25) -- Following a meeting this morning between President Gul, Prime Minister Erdogan, and Chief of Staff Ilker Basbug, the three leaders declared that recent tensions would be solved within the constitutional order of things. At the moment, that order still allows closure of the AKP should a case be filed, or any other number of scenarios. Also, the Christian Science Monitor's Scott Peterson takes a look at the recent arrests and Tuesday's meeting, providing a good summary of the context in which all of this is happening. UPDATE II (2/25) -- Two recent columns from two very different opinion leaders warrant a reading in that both agree that what is essentially happening is a power between two elites -- one old, established, and orthodox; the other, newly risen, eager to challenge the powers that be, and equally rigid. Mehmet Ali Birand writes that "a great mutual psychological war is being fought," drawing on Babug's earlier statement that forces opposed to the military are waging psychological war against it (Taraf, for instance). Fellow Hurriyet Daily News columnist Mustafa Akyol writes about "polyarchy," which Akyol describes as a "system with more than one power center, and even a crude system of "checks and balances." Not to be confused with Robert Dahl's conception of democracy, this "polyarchy" is far from democratic -- a power struggle between elites with its own set of rules and logic that the public can only speculate on. Akyol's analysis does not go this far, but he does give the example of the "ascending role of the police in relation to the military." While writing that AKP is "nepotistic," "prone to authoritarianism and intolerance," and that "a Turkey totally dominated by the AKP would really not be fun - nor free and democratic," he endorses the new system over the old, declaring that "an ongoing struggle between opposing powers, is better than the previous one, which was a dominance of a single power." Akyol does not give much of a warrant for this, but its honesty is certainly striking. UPDATE III (2/25) -- The AKP is sending two of its deputies to the parliament's disciplinary board following statements both made implying the Ergenekon case and recent arrests were about afflicting revenge. The referrals are presumably an attempt by the AKP to preempt the statements being used in the potential closure case. Should the disciplinary board expel the two deputies from parliament, the AKP would lose two MPs at a time when it is considering the risky move of bringing constitutional amendments to referendum. UPDATE IV (2/26) -- Late on Thursday, three of those detained earlier this week were released, including top geneals Ibrahim Firtina and Ozden Ornek, former commanders of the Air Force and Navy respectively, and Ergin Saygun, former commander of the First Army. The releases were made based on their low flight risk, though prosecutors said the investigation will continue, keeping open the possibility of future arrest. Today 11 more were formally arrested and remanded into custody, including two active duty admirals and former General Cetin Dogan, who has made frequent appearances on Turkish televisionin recent weeks de-bunking the Ergenekon investigation. 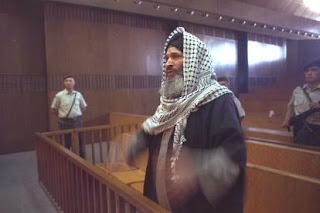 General Engin Alan, former head of the Specaial Forces, also appeared before the court. Meanwhile, in another sweep, 18 mostly active-duty juniors officers were detained. The total number of officers formally arrested and jailed this week was 31 out of a total of 67 detained. Gareth Jenkins discusses the politicization of the Ergenekon investigation in a piece up on BBC Turkish (in Turkish). For Jenkins' take on the investigation, see "Between Fact and Fantasy: Turkey’s Ergenekon Investigation" (published last fall). The state-run news agency Anatolian said Colonel Huseyin Ozcoban, commander of the paramilitary gendarmerie force in the city of Konya, and Lieutenant Colonel Yusuf Kelleli were charged late on Sunday in an Istanbul court. Turkey's small Jewish community has come out against the Anti-Defamation League's new policy position that the massacre of Armenians during World War I was "tantamount to genocide." Silvio Ovadio, head of the Jewish community in the country, issued a statement saying, "We have difficulty in understanding" the ADL's new position on the matter, the Turkish media reported on Thursday. The ADL position only reflected the opinion of "related institutions of the American Jews," the statement emphasized. "We declare that we are supporting Turkey's belief that the issue should be discussed at the academic level by opening archives of all related parties and that parliaments are not the places for finding out historical facts via votingâ€š" the statement read. The Turkish press also published a letter from prominent Turkish Jewish businessman Jak Kamhi to Foxman on Thursday. In his letter, Kamhi said that "by accepting this false comparison between the uniquely indisputable genocide for which the term was coined - the Holocaust, and the events of 1915, the ADL has committed an act of the most inexplicable injustice against the memory of the victims of the Holocaust, as well as against the sensitivities and pride of the Turkish people, who deserve your praise for their centuries-long tradition of compassion and their culture of humanity and cohabitation that remains an example to the world." Kamhi took issue with Foxman's assertion that there was a consensus among historians that the massacre was tantamount to genocide, saying there was no such agreement. The Anti-Defamation League (ADL), under pressure from Turkey and Israel, has struggled with its position on 1915 for some time now. In 2007, the ADL moved to recognize 1915 as "genocide," only to reverse itself shortly later. ADL's most recent change in position has divided the organization, and sparked a firestorm in the United States at a time when the American Jewish community and the powers that be are equivocating on what before has been firm opposition to genocide recognition. According to the U.S. Department of State's International Religious Freedom Report, there are approximately 23,000 Jews livining in Turkey. The population used to be larger, but several Jews left Turkey following the Second World War and the creation of Israel, as well as the Turkish Republic's infamous 1942 passage of the "Wealth Tax," which largely targeted the money of Jews and other minorities that had up to the time controlled a significant share of the wealth in the new Turkish Republic. In an interview with EurActiv.com, EU Chief Negotiator Egeman Bagis said the most significant accomplishment in the course of EU-Turkey relations was "putting the Turkey train on EU tracks." Bagis was referring to the start of accession negotiations, which despite some positive developments in the past year, are still progressing at a precariously slow pace. While landing the accession partnership with the EU was no doubt a monumental acheivement, navigating the international and domestic waters of Turkey's accession politics is also no easy task, especially at a time when skepticism abounds in Turkey and Europe. With most of the 23 remaining chapters of the EU acquis left to be opened, the Turkey-EU relationship is still in stormy waters, and with it, Turkey's reform efforts. Yet, one encouraging sign cannot be discounted: France and Germany, two of the EU's most infuential member states, have ceased talking about extending a "privileged partnership" to Turkey in lieu of full membership. While accession negotiations are still defined as "open-ended," with no guarantee or right to eventual membership, it seems for the moment at least that both countries, as International Crisis Group (ICG) analyst Hugh Pope puts it, are "now aware of the long-term damage this has done to their own commercial interests, the EU’s stature on its southeastern flank and Turkey’s own reform program." For the past few years, including before European Parliament elections last summer, conservative politicians in France and Germany both used populist anti-Turkey rhetoric to attract voters (on this point, see former EU Enlargement Commissioner Maxime Verheugen's denunciation). Returning from France in October, President Gul declared the "privileged partnership" talk to be over, a statement repeated by Bagis in January. EU plans to offer Turkey something less than full EU membership, whether it be the half-cooked "privileged partnership" proposal or membership in French President Nicolas Sarkozy's Mediterranean Union, have long drawn scorn from Turkish politicians and worked against the reform process by putting Turks on the defensive and de-mobilizing optimism/support for eventual membership. Other positive developments on the European side of the equation include the success of the Lisbon Treaty, which, while granted will take the EU awhile yet to get used to, puts to rest questions about the EU project that had to be sorted out before further enlargement. Though Lisbon did not do much to amend enlargement procedures (individual member states can still veto the entry of candidate countries), it does allow the EU to focus more fully on its future borders. Croatia is well on its way to acceding, and the accession of Iceland following its financial demise should be accomplished without too many hitches. Macedonia, despite problems with Greece, is making headway as well, and plans lie in wait for Serbia, which applied for membership in December, as well as for Albania and Montenegro. While a country with a population of 70 million plus is indubitably a much bigger swallow, Turkey's move eastward should provide momentum in the coming years as the former Ottoman-controlled Balkans unite with more "Western" counterparts. Another possible candidate is newly independent, predominantly Muslim Kosovo, which along with Albania, will get Europeans thinking about cultural/religious identity issues -- what it means to be "European" -- in ways hopefully more sophisticated than these grand level questions have been approached in the past. While there are still plenty of Turkey-skeptic politicians in the wings, the shift on "privileged partnership," including German Chancellor Angela Merkel's long-standing promise to judge Turkey on its mertis at the time it accedes, should only put Turkish citizens and politicians more at ease. Another skeptic who has pulled back is recently elected EU Council President Herman Van Rompuy, whose past opposition to Turkish membership drew harsh criticism from Ankara. Van Rompuy has promised to act responsibly, honoring past commitments while not using his position to politicize Turkish accession. Additionally, Turkey has a friend in EU Enlargement Commissioner Stefan Fuele, who has wholeheartedly expressed his desire to see Turkey become a member, playing up the geostrategic significance to Europe of eventual Turkish membership. Fuele will no doubt have a problem selling enlargement at a time when Europe is in recession and still coping with the recent additions of Bulgaria and Romania, but his determination to move forward on Turkey in the post-Lisbon EU should be read as an encouraging sign. In Turkey, though disenchantment with the EU still rings loudly, the beginning of 2009 saw the government finally move forward with its National Program for the Adoption of the Acquis (NPAA). 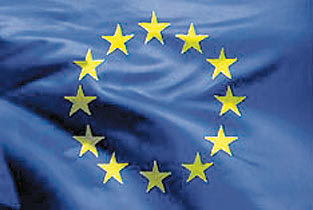 The draft of the NPAA was released in August 2008, following an aggravating six-month wait after the February 2008 adoption of the EU's Accession Partnership Document (APD). As ICG's 2008 report observes,"in some ways it was already two years late, since no previous National Program was issued after the previous Accession Partnership in January 2006." That Turkey is now even has an up to date NPAA is welcome news, though there are shortcomings. In addition to the NPAA, the government finally appointed an EU Chief Negotiator in January 2009, a move long requested by Europe, as well as bolstered the staff working on EU-related issues. To further reignite its EU bid, the government also appointed Brussels-experienced diplomat Volkan Bozkir as the Secretary-General for EU Affairs. And, further kicking off 2009 was a January trip to Brussels by Prime Minister Erdogan, who had not visited the European capital since the association agreement was signed. CHP opposition leader Deniz Baykal, whose party has frequently placed itself in opposition to any AKP-led reform regardless of its impact on Turkey's accession, also visited Brussels in February (see Feb. 11, 2009 post). Other positive signs included the signing of an inter-governmental agreement on the Nabucco pipeline, as well as on the domestic front, a strategy for judicial reform and another to fight corruption. The government's Kurdish initiative and rapprochement with Armenia have also helped the EU process along (despite the shaky ground on which both now stand). With Spain at the helm of the EU Council Presidency, and possibly two more chapters to be opened, the next few months also look promising as long as Turkey moves forward, which it might be all the more inclined to do now that it is facing another possible closure case thanks in part to past foot-dragging on judicial and political parties reform. However, despite progress made in 2009, Turkish public support and optimism about eventual membership are at a continued lull. The standoff on Cyprus, which led the EU Council to block eight policy chapters in 2006 and France to block four more (five in total, but one overlaps; Cyprus is informally blocking others), as well as the talk of "privileged partnership" and anti-Turkey talk in Europe, have taken its toll. The most recent EU Parliament resolution on the 2009 Progress Report will not help either, nor will nationalist politicians' spouts of anti-EU talk or the constant grumbling in Turkey about meeting "EU demands." The most recent Transatlantic Trends Survey, a project of the German Marshall Fund, put support for membership at 48 percent, down from 73 percent in 2004. According to the same survey, 65 percent of Turks polled thought European membership impossible, and perhaps most disturbingly, only 34 percent identified themselves as sharing common values with the West. The EU Commision's Eurobarometer puts the percentage of Turks in favor of membership at similary low levels -- 45 percent; another poll by Angus Reid has the percentage in favor only slightly higher. These numbers are concretely reflected in the Turkish public's lack of interest in the 2009 Progress Report. The report's November release garnered little attention among Turkish opinion leaders, who in past years often discussed the report on Turkish television and in newspapers. However, even with the pressure on before the EU Summit this December and the possibility of more difficulties arising from the Cyprus problem, including the suspension of negotiations, few seemed to care. While Europe might be said to be experiencing "enlargement fatigue," Turkey is suffering from a bad case of "Europe fatigue," or at least serious second thoughts facilitated by a sense of "not being wanted." What Turks perceive to be moaning in Europe and constant scolding by European officials -- too often played up in the Turkish media -- has created a response among several Turks with whom I have talked that Turkey can and should "go it alone." Some of this is sheer pride, and it is no doubt helped along by fears, largely coaxed along by rumors, that Turkey will have to do this or that to meet "EU demands." Thinking of the accession process in terms of "demands" made by a foreign power rather than "criteria" that must be voluntarily met in order to gain membership into an intergovernmental organization badly damages the accession process in a country whose politics are prone to paranoia (for more on this, see April 11, 2008 post on Turkey's "Sevres syndrome"). Rather, the "demands"-oriented thinking injures Turkish confidence and gives rise to a sense of hurt and defensiveness, which frequently manifests itself in countering EU criticisms with arguments about Turkey's worth, oft replete with strong undertones of nationalism and even xenophobia. The most commonly expressed criticism of the EU from Turks, be it from more secularist or non-separationist in how they approach the state's relationship with Islam, is that Europe does not want a Muslim country in its borders. This feeling is no doubt stoked by the recent EU decision to extend the Schengen zone, and thus visa-free travel, to Macedonians, Montegrins, and most controversially, Serbians, which are predominantly Christian, but not to Kosovars, Bosnians, Albanians, or Turks. The EU decision prompted a sharp response from Foreign Minister Ahmet Davutoglu, and plenty of criticism in the Turkish press -- in short, it was talked about much more than the Progress Report. One view that is quit strong in France and Germany is there should be no further widening without deepening. I have held many discussions in France both in the National Assembly and with the civil society, likewise in Germany, and the view there is that we do not rule out a Turkish accession but first the EU should be deepened. I feel a certain sympathy for the view that widening and deepening should go hand in hand and I understand the logic but I don’t think those two approaches are contradictory. In fact, widening and deepening are rather parallel and mutually-reinforcing processes. Both of them have made the EU what it is today - much stronger and more effective than let’s say 20 years ago. A second main concern is cultural and religious resistance, which is more difficult and for which I do not feel so much sympathy because the EU is not a Christian Club. Rather it is a community of common values, democracy, the rule of law, fundamental freedoms. If a country meets those conditions, it should be able to join the EU – if it is a European country and it has a European vocation. Thirdly, there are concerns related to employment and the labour market, which are often linked to immigration. For instance in France, the Turkish EU accession is seen through the lens of certain problems related to the integration of the Muslim minority - if you can call 5 or 6 million people a minority, out of whom only a small portion are actually Turks. although President Sarkozy may not have changed his own mind, his politicisation of Turkey’s EU membership during his election victory in 2007 has unexpectedly mobilised Turkey’s supporters in France. Left-wing newspapers now debate the merits of the country, whereas a decade ago they mainly picked apart Turkey’s then poor human rights record. French businesses, anxious about what politician Pierre Lellouche early on thought was the loss of five billion euros worth of business, helped finance an ongoing nine months of 400 Turkish cultural events in 70 French cities. These plays, debates and shows -- including lighting up the Eiffel Tower in the red-and-white of the Turkish flag -- have probably done more to showcase Turkey than decades of diplomatic toil. The German opposition is a bit different. Merkel, unlike Sarkozy, had promised previously to not directly prevent Turkey from gaining membership, and so refrained from blocking chapters as France did in 2007 (though the latter used Cyprus as the pretext). Yet, Merkel has made her opposition known all the same, and if the Christian Democrats do happen to still be in power at the time a final decision on Turkey is made, there will likely be difficulties. Germany continues to stress that accession negotiations with Turkey are open-ended, and that there is no right to or guarantee of membership, emphasizing that Turkey has stict obligations to meet the Copenhagen Criteria and reconcile its laws with the EU acquis (for example, see German EMP Elmar Brok's remarks in 2008 in response). While Germany's über-conservative Christian Social Union party remains publicly committed to "privileged partnership" (see, for example, CSU's criticsm of German Foreign Minister Guido Westerwelle's recent trip to Turkey), the CDU-CSU-FDP coalition agreement in effect since German elections in September makes no reference to it. Beneficial to Turkey's relations with Germany is strong trade between the two countries, as well as Germany's contibution of 17 percent to Turkey's foreign direct investment. There are also 1.2 million perople in Germany who enjoy dual German-Turkish citizenship. Turkish and European proponents have plenty of work ahead of them if accession is to progress in the difficult times ahead, and it is clear that leadership and dialogue is what is needed most of all. European supporters of accession point to the fact that no enlargement has succeeded by looking only to popular opinion, putting emphasis on the time, work, and leadership that make enlargements successful. Swedish President Carl Bildt, who held the EU Council Presidency last term, expressed this opinion in the European Parliament's debates on enlargement last November. We are all aware that there are those in our respective public opinions that would prefer to just shut the door to all of them [candidates seeking EU membership], hoping that the issue would go away, and opt for a far more closed idea of Europe. I belong to those who are convinced that this would be a mistake of historic proportions -- the consequences of which would haunt our Europe for a very long time to come. Bildt echoed similar sentiments in an interview with Nigar Goksel, saying “the EU project and its important components, ranging from the euro to enlargement, have been the result of political leadership, not the result of a groundswell of love toward each other among different European nations. In fact, very little would have happened in the last 50 years without political leadership.” Here, arguments about the geostrategic importance of Turkey in terms of energy and influence in the Middle East, as well as Turkey-EU relations in terms of NATO, are all influential, and the more European leaders make them, the better. Final decisions about the "absorption capacity" of Europe for Turkish membership are a long way coming, but Turkey must do its part, too. While no accession has successfully taken place without European leadership, no accession has taken place without a groundswell of popular support in the acceding country for membership. Spain's accession to the European Union in many ways parallels Turkey in terms of the strong opposition Spain faced from countries fearing it relative economic deprivation and huge agricultural capacity; yet, the Spanish public was strongly supportive of EU membership and democratization following the Franco dictatorship, and success came with persistence. While there is indubitably more opposition to Turkish membership than Spain faced in the early 1980s, Turkey must overcome some of its political dysfunctions if it is to succeed. Nigar Goksel points to what the government might do to push forward in this endeavor. While the EU process loses momentum, the agenda in Turkey has been consumed with clashing concepts of citizenship, competing patronage networks, colliding dogmatic visions, and culture wars. Loopholes in the constitutional system have allowed these battles to cause systemic deadlocks. The dysfunction in institutional checks and balances has led to a broad feeling of insecurity about the rule of law. By responding to this scene with patronizing and vengeful approaches, the government and its supporters only exacerbate the deficit of confidence and steepen the challenges for the government itself. For the progressive taboo-breaking initiatives on the agenda to succeed, a concerted effort to reduce the perceived insecurity is called for. As long as the culture of reliance or vulnerability to the good graces of a political power persists, the fierce polarization that prioritizes personal and group interests over Turkey’s long-term interests will continue. The institutional and structural changes that the EU track will impose can curb this culture. However, rhetoric also matters. For the government to convince a critical mass about its commitment to its declared goals, rhetoric about freedoms and pluralism needs to be consistent across the ruling party’s ranks and across the range of issues on the agenda. Rather than convince Turks of the benefits of EU membership for Turkey or sell its democratic values or culture to Europe, Turkey's government remains squarely focused on the technical aspects of accession, namely the EU chapters, and is frequently confrontational toward EU opponents. Neither is helpful. Essentially, the government has two jobs, both difficult: 1) sell Europe in Turkey, which is largely a rhetorical and public information effort, and 2) sell Turkey in Europe, which is a matter not only of satifying the EU acquis, but continuing to consolidate its democracy and pass reforms respecting human rights. In regard to the first, building public support for accession would not only bolster the accession process, but also reforms the government would like to see passed -- and, now, with judicial reform all the more exigent, desperately need to be passed. Support for reforms as a function of EU membership is the lynchpin is critical to their realization. According to TESEV's Dilek Kurban, "For the people, Europe means a prosperous future. It is the only thing to inspire hope, to motivate people for change. This process is the only thing that holds the country together, Turks and Kurds, Muslims and others. If you lose it, what you’ll see is a disintegrating country." Even if one does not agree with the potential fallout Kurban identifies, most Turkish leaders would have a hard time denying the role the EU has in mobilizing reform, the motor the EU prospect provides when challenging the status quo and the powers that be. The entire reform process between 1999 and 2005, in addition to the meager reforms thereafter, were all largely driven by the EU, and the fact is hard to escape. EU reform is linked to accession, and when accession comes unglued, so does reform. This is one reason so many observers who know how determined the AKP is to pass reform on civil-military affairs and the judiciary have grown skeptical that the AKP is still in the pro-Europe camp. Euroskeptics are not the only forces to blame for Turkey's low public morale for accession. Turkey's leaders must also own up, and do something about it as well -- otherwise, the alliance of the skeptics, and those who do not want to see Turkey in Europe, will win. The government's constant confrontation with Turcoskeptics in Europe has done little to build support for accession in Europe, nor has it weakened the skeptics. 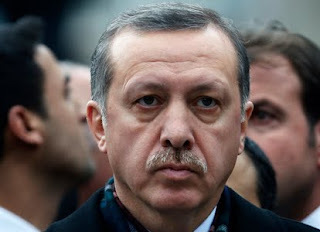 Though frustration is understandable, countering Turcoskepticism is best left to European leaders supportive of Turkey. Prime Minister Erdogan's calling out of a smirking Greek Cypriot politician at a lunch in Brussels did nothing to win Turkey friends or damage the credibility of the likely less than credible Greek Cypriot. For another example of less than helpful behavior, see Erdogan's remarks during a dinner he hosted for the diplomatic corps in Sept. 2008, during which the Prime Minister declared, "Forget about drawing water form this well. [The EU has] got the bucket so stuck in the bottom of the well, it'll be a miracle to get it out at all." Rather than attack Euroskeptics, or in the latter case, Europe as a whole, if the government is serious about accession, it must focus on the reform process and selling the democratic values it shares with the EU. To this extent, rather than paying attention only to opening acquis chapters, the government should draw on the synergy of the accession and reform processes, enthusiasically embrace Copenhagen, and move forward with broad-based democratic reform, including a new civilian constitution. Even if chapters are not opened, there is nothing to prevent the government from working on reforms in anticipation, nor in using the EU anchor for leverage in so doing. In an interview to Today's Zaman, Spanish Ambassador to Turkey Joan Clos referenced his own country's accession. In the Spanish accession process, when we talked about interests and strategy, we never succeeded in the argument. We never moved the hearts of the Europeans when we said we were close to the Strait of Gibraltar, were very important for Europe or when we said our agriculture was very important and we had the largest area of farmland. But when we talked with our European fellows and said, ‘Look, we want to be in the EU because we want to stabilize our democracy forever,’ this was something understood by every European citizen on the street. To give weight only to strategic and business reasons for European accession is purely an argument of interests. To put emphasis on values is a much deeper emotional question. There are countries which have geo-strategic value and position apart from Turkey, but the kind of democracy that you have reached with the republic and that you are trying to improve through governmental and everybody’s efforts makes the difference for Turkey in relation to your neighborhood. This should be the main driving force. Democratic Europe cannot lose a growing democracy in this part of the world. If you ask a German, Frenchman or Spaniard, ‘Do you want to help Turkey to be a European-like democracy with our values or not?’ the answer would be yes. This is more important than oil or agriculture. Yet, Turkish politicans rarely, if ever, makes such arguments, choosing rather to focus on geopolitics, energy, and Turkey's economic weight and satisfaction of the economic/financial Maastricht criteria. (In a EurActiv interview with Bagis, the EU Chief Negotiator is keen to talk about Maastricht, but defensive on Copenhagen. The latter has to be broached by the interviewer, while the former is volunteered.) While it is obviously easier to talk about geopolitical significance and past achievements than shortcomings and future reforms, it is the latter that is badly needed. Several Turks, including Turkish politicians, often say "reform is for Turkey," which is all fine and well, but does little to unite Turkey's democratic vocation with its European vocation. When the two are united, both seem to benefit; when they are not, neither seems to go very far. Assuming Turkey can avoid a full-out confrontation with the European Council over Cyprus, which still hangs around its neck and provides ample ammunition and room for maneuvering to its detractors in Europe, a final decision on Turkish membership is still a long ways off. While this might be frustrating to some extent, it should also take the pressure off and encourage Turkish politicans to focus on reforms rather than criticisms of Europe. Sarkozy, nor Merkel, are likely to not be in power by the time a decision can actually be made, and though Austria and France have both expressed intentions to put Turkish membership to referendum, to talk about the European politics on Turkish accession now is more than premature given the rapidly changing dynamics of the region, and just as importantly, the more democratic, human rights-oriented Turkey could be if its politicians keep their eyes on the ball. Turkish Ambassador to Germany Ahmet Acet urges European politicians to focus on the Turkey of the next 10 years, but the same applies to the government and the opposition. And, while the new government line recognizes that the final decision is a long ways off, it should also stress, as Clos instructs, the Turkey's passion for democracy and Europe, best evinced by the reforms to be hopefully realized in those next ten years. Turkey's entrance into the European Union would not only assist in the consolidation of Turkish democracy, but would also assuage the fears of AKP-opposition forces and skeptics who claim the AKP does not actually want European membership and is rather using the accession process to further its own "secret" political agenda. Since the vast majority of Turks want democratic reform, which the government also claims to want, tieing reform to the accession process is not only politically useful in this historically Westward-looking country, long-defined by a love-hate relationship with the West, but symbolically potent. With few chapters left to open, Turkey must maintain a reasonable amount of momentum, and Copenhagen and Maastricht are both answers. To this extent, President Gul's comments that Turkey might choose to go the way of Norway are not particularly helpful, as they do little to unite Turkey's two vocations, which the AKP, as well as the opposition parties, all outwardly espouse. Rather, Europe, largely hesitant about Turkey's political turbulence and ambivalent relationship toward democracy and the West, needs to be convinced Turkey wants Europe and democracy. The government, and the opposition, can do better. Time will tell.